I am not really a jam person. 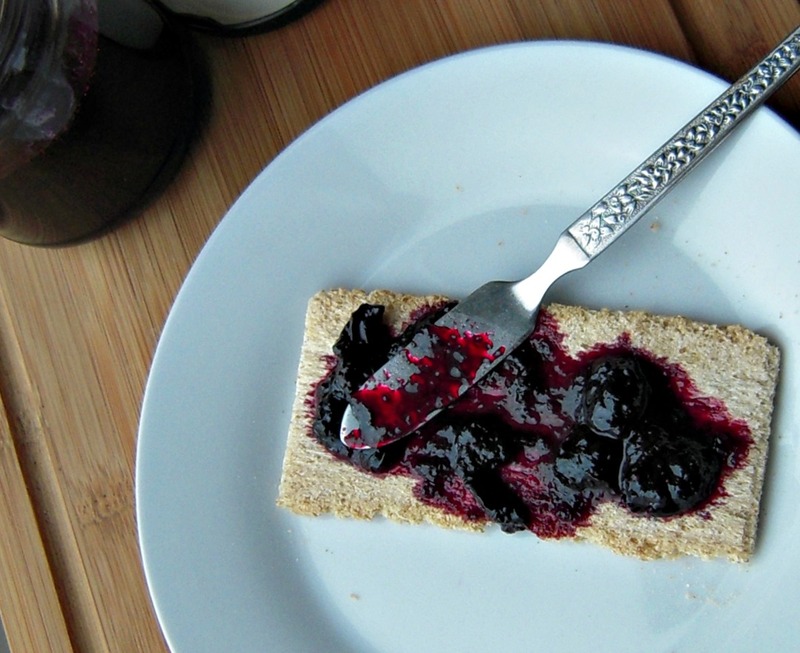 There are only a few times when I actually had jam on toasted bread. I specially don't like the store bought jelly like set jams. No, they are not for me. 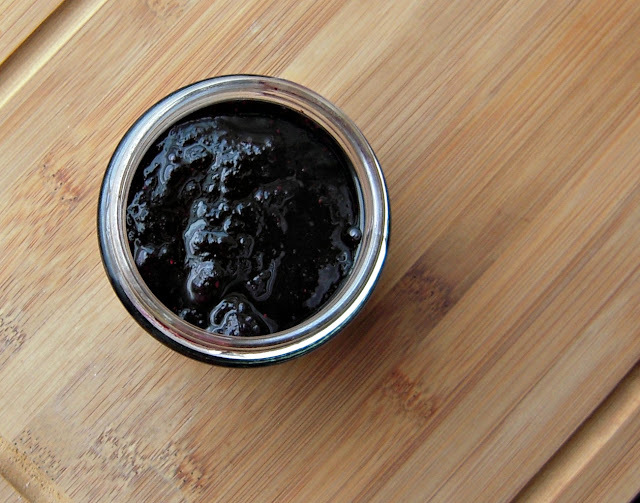 The first time I actually liked having jam was when I bought a bottle of blueberry jam from IKEA. Since then I started enjoying it with Crepes, Scones and on Crispbreads.. But, I really never thought of making it at home. Recently when I saw these berries on sale, I thought to try making jam at home. I have seen many fellow bloggers swearing how homemade jam is so much better and that one would never buy a bottle again, once they have tasted the homemade jam. I know now what they mean. Home made jams are so much more flavorful and it is so easy to make them at home. But, one should be always cautious while storing them. Properly sterilized jars can increase their life and you can enjoy them longer. The lemon juice used in the recipe gives it a bit of tanginess in addition to helping it set. Lemon juice had a high pectin content which helps jams in setting. 1. 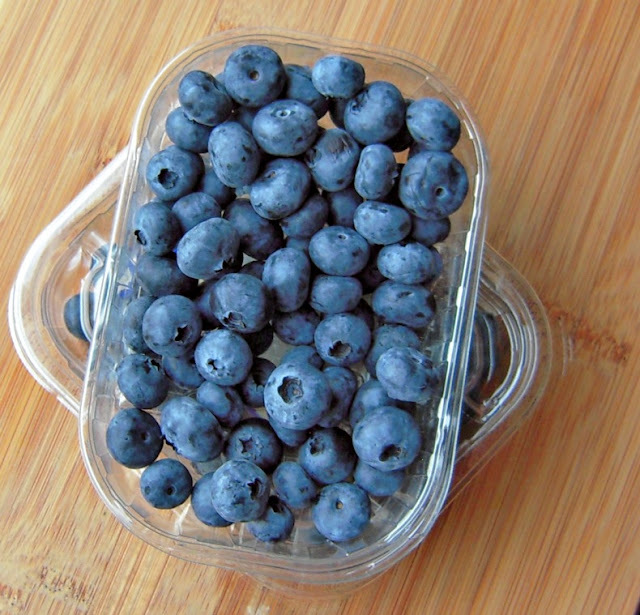 In a large deep pan, add the blueberries, sugar, lemon juice and lemon zest. Bring it to a boil. 2. In 5 minutes or so, the berries will burst and give out it juice and the mixture will become liquid. Turn the heat to medium. 3. Continue heating for another 10-12 minutes. The mixture will thicken. Heat for another 5 minutes if you like it thicker. It will get thicker as it cools. 4. 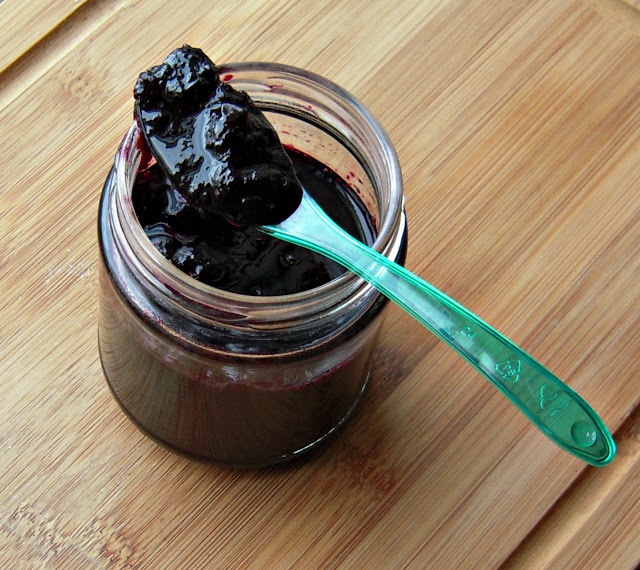 Take it off heat and let it cool completely before storing it in a sterilized jar. It should keep well for month in refrigerator. 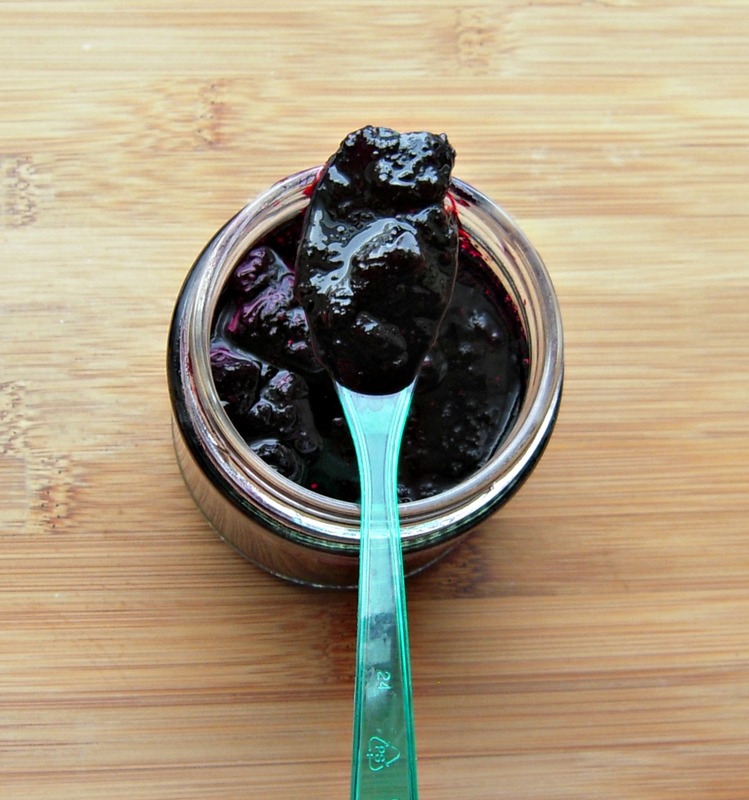 Note: Using the same recipe you can make jam of any berries or mixed berry jam.